That's the saying that I've heard all my life, and I'm starting to see just exactly what that means. Before I wrote this, I took some time to actually analyze what's going on with my life at the current moment, and I feel good. Someone told me to relax and smell the roses for a bit before I get back to my grind of doing things, and I did just that. I'm not one to tell people what's going on with my life because for the simple fact I value my privacy and cherish the fact that I can't receive unwarranted advice or attention. But I will say that I'm blessed for my new job, even if it's just a foot in the door, it's at least a step in the right direction. One of the big things I wanted to do this year was change my path for what I wanted to do ultimately with my career and this is at least on the right path. That's the big news there, and I'm not sure what else there is to talk about beyond my personal life that I want people to know about lol. No more 60hr work weeks for me for the time being and I'm so glad about that, and plus my job is like a million times easier than my previous one, so big ups to the man upstairs for looking out on this one. The good weather is finally here, from what I enjoyed of it. I've been spending a lot more of my time outside and about when I can, enjoying the beautiful sunshine. Luckily for Raleigh the rain has pretty much been secluded to either late nights or days where it's nothing really going on, so that's always a plus. That means there's a lot of wiggle room for these festivals that are coming up. I got to enjoy the food truck rodeo that we had here, which was on a whim. I definitely said that I would take more pictures or make videos of these activities but I will when I actually get some time. Another thing that I actually like about this weather coming in is the fact that I get to run outside instead of having to run in a gym on a treadmill. I'm not really one to sit inside a building and workout, I like the feeling of the sun beating down on me and sweating it out, with the changing terrain. Another great thing about my job is that I don't work weekends, so I get to actually wake up and do the whole going out and catching the festivals early in the day versus waiting til evening to go. I literally forgot that I saw Hot Tub Time Machine 2 & Fifty Shades of Grey, that's pretty sad when you think about it, suppose I'll crank out some reviews on those. But any who, those are the movies that I've seen so far this year, and I pretty much didn't have the time like I'm going to have now, so expect a few more movie reviews to head your way pretty soon. That pretty much sums up my movie going experiences to this point. I haven't really caught too much television this pass couple of months either, well live that is. Of course I caught all of my Walking Dead episodes and I'm actually ready for the spinoff series Fear The Walking Dead to premier later this summer. I love the Breaking Bad spinoff series Better Call Saul as well. It seems like AMC knows what they're doing when it comes to these television shows. I actually binged watched House of Cards and the only thing I have to say about that is I hope they are going somewhere after the end of the third series because it kind of went left for me. Oh yea I always caught The Big Bang Theory whenever it came on, and that's pretty much my favorite comedy. Right now at this current moment in time, my favorite to watch period is back and off to a great start, Game of Thrones. So that's my little spill about what I watch on television at the current moment. 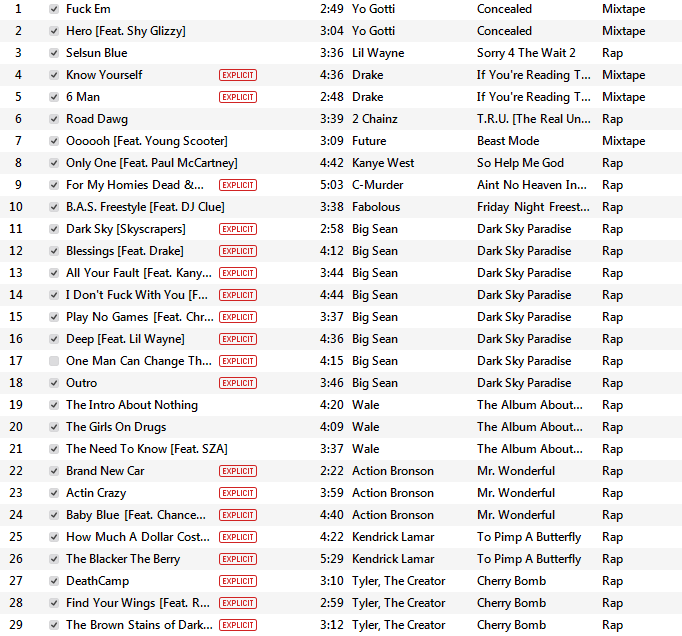 That's pretty much all of the Rap & Hip-Hop that I listen to at the current moment. I do have a list for R&B but that's only like four songs deep, so there' no bother wasting your time at the current moment with that list. There are a couple of R&B albums that I want to check out so that list should grow relatively quick soon. I know there's that Janelle Monáe song Yoga which is currently my favorite R&B track out. It's a nice party anthem and I can't wait to see some chicks dancing to it in the bar, or maybe a club if people are lucky to see me in there lol. 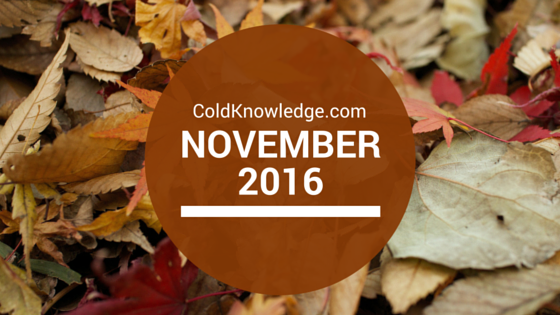 I'm still going strong with the whole increasing my content for my site. I actually went back and found like four days that I didn't post blogs from back in January for some reason. But I went back and corrected that era, and I'm up to 92 posts for the year counting this one, that's pretty awesome if I do say so myself. People ask me how do I keep it up and I always respond that it's all about the schedule, planning out what you want to do, checking against what's going on that month, keeping an eye on the news and just living life. If you follow all of those steps, then you will always have something to talk about, always. I literally already have all of May already planned and half of June, which I have a few new things that I'm going to introduce to the site that I'm excited about. But all in all that's a preview of May for what's going on in my life and the events associated with the site. It's probably one the better months in my life for the simple fact that it's Mi Madre's birthday, Mother's Day and my little brothers birthday, along with a couple of important weddings. So there's a lot of things to look forward to this month in my personal life and hopefully I'll remember to take pictures and share them with you guys and what not. 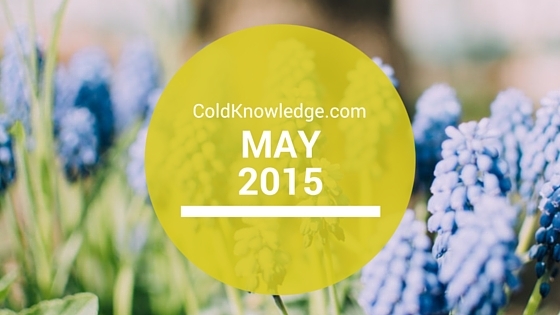 What does May have in store for you? Do you have anything significant coming up? Let me know what you have going on in the comments below. I like your philosophy when it comes to how you get all your blogging in. I also really liked Kingsman, and am excited to see a bunch of movies that are out now. It's been awhile. Happy May! Thanks so much Angie! Definitely having a schedule to blog like I do really helps immensely & I'm excited for the summer slate of movies as well. Happy May to you too!